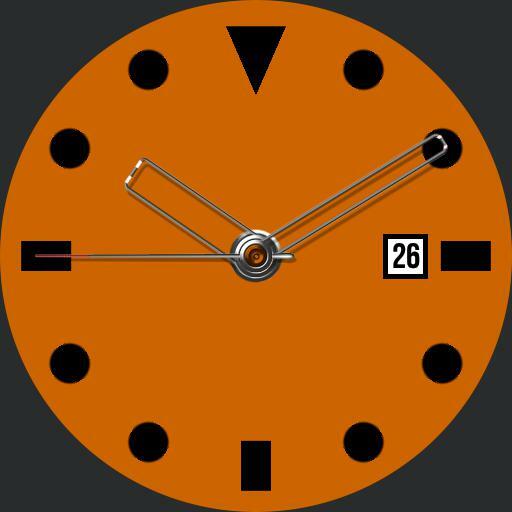 Basic analogue watch with date window. Second hand is also a watch battery indicator in dim mode. Hands courtesy of Watchawear.